Organic, premium, vegetarian … the variety of eggs today in the market can baffle you. 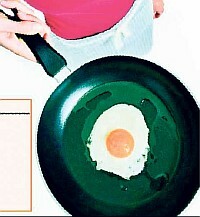 We ask the experts to show you the sunny side up. Standard eggs, or those found at any regular shop are usually procured from hens kept in small cages, where often, there’s not enough room for them to exercise. The hens are fed a high-protein diet containing antibiotics, hormones and other chemicals. High output and minimum maintenance costs of these birds means the prices of these eggs are lower than all the other varieties. All eggs, sorted in the simplest manner, are either white or brown. The colour is derived from the breed of hens: hens with white feathers and ear lobes lay white eggs and those with red feathers and ear lobes lay brown eggs. It is commonly believed that the browns are healthier than the white ones, but there’s hardly any nutritional difference. Brown eggs may be more expensive, but only because hens which lay them are larger and therefore need more food. These eggs come from hens kept in large, strawcovered barns, separated into pens rather than small cages. Thus, the hens have more room to move around, carry out natural activities such as spreading their wings, and even socialise with other hens. All this because of the belief that happier and healthier hens produce better quality eggs! Organic eggs refer to those coming from hens fed with a wholly organic grain feed, not containing any pesticides, herbicides or fertilisers. The birds are not fed with any antibiotics, hormones or meat by-products to fatten them up. Once the eggs are laid, no artificial colouring or vitamins are added, which accounts for paler colour of the yolk. Organic eggs taste different than the regular variety, are more expensive and are healthier.